In the seventeenth chapter of 1 Kings, we find the prophet Elijah delivering a message from God to King Ahab. Then the word of the LORD came to him, saying, "Get away from here and turn eastward, and hide by the Brook Cherith, which flows into the Jordan. And it will be that you shall drink from the brook, and I have commanded the ravens to feed you there." Elijah does exactly what he is told to do. He goes into the wilderness and hides by the brook. While there he drinks the water and the Bible also tells us that ravens bring him meat and bread twice a day. In other words, hidden away from his enemy, his needs are met. "So Elijah lived in safety by the brook living on bread and meat until God decided to allow rain to fall again. The End." What do you mean that's not the way the story goes? God provided and that was that, right? Well, not exactly for you see...the brook dried up. Has your "brook" ever dried up? You've lost your means of support. You've lose your job, you can't find another one, you get sick, you get injured, something happens beyond your control and you've been faithfully trusting in God to provide for you. He has been faithfully doing so. Then...the "brook" dries up. Someone, somewhere has convinced us this isn't supposed to happen like this. "You're a Christian. Your brook isn't supposed to dry up!" Meanwhile, you are staring at the dried up brook. The God who sent ravens with bread and meat twice a day could have easily kept the water flowing in a brook but... He didn't. You see, it was time for Elijah to go elsewhere. Elijah wasn't going to need that water anymore. He was about to take another journey. God continues to provide for Elijah in a new and different way. You can read all about it in 1 Kings 17: 8-15. Regardless of the method, God cares for His children and when the brook dries up, we must continue to follow Him... no matter what! This blog was published on September 07, 2011 at 09:05pm by K Reynolds . Yes, we have sometime our mindset and our direction as God also moves in a new direction in our lives. Yet He will provide through all our needs in new ways and in new methods. May we learn to discern as the Lord leads. I remember you sharing the story of God's provision for you. Truly He cares for us. Sometimes the method changes but the result is always the same. 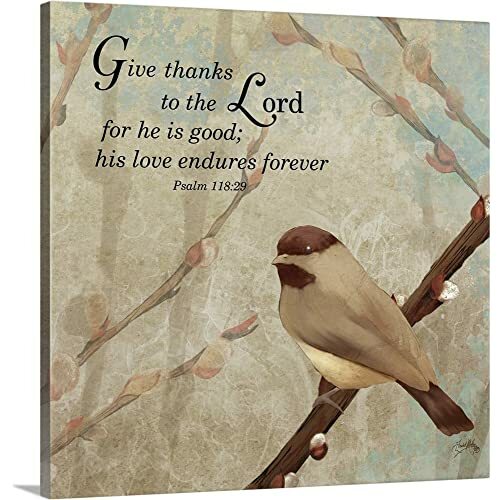 He always cares for us just as He cares for the sparrows and the lilies of the field. Thank you so much for this message... I am going to read it now. I am living in faith right now. My situation is not one of financial stress. It is one of emotional stress. I am looking to God in faith. I guess I could put it this way. I am asking God for something and acting on faith he will give it to me. There may come a time that I will have to acknowledge that he is telling me to move on. That my brook is dry. I thank you for this passage that may help me to be aware if that time comes and to be open to God's will whatever it may be. While I am dealing with financial issues at the moment, for nearly four years I've also been having to do this in regards to my health. I was diagnosed with breast cancer in December 2007 and went through treatment (surgery, chemo and radiation) for most of 2008. I thought that was behind me when suddenly without any warning symptoms whatsoever, an aneurysm in my brain ruptured and I had a subarachnoid hemorrhage and a stroke in December 2009. I went back to teaching in January 2010 but last January was put on a medical leave until at least next spring. You touched on something which I believe is key. We can ask but we must always remember that He is the Father... not us. As we ask we must always check our heart to ensure that we are also praying... not my will but thine.